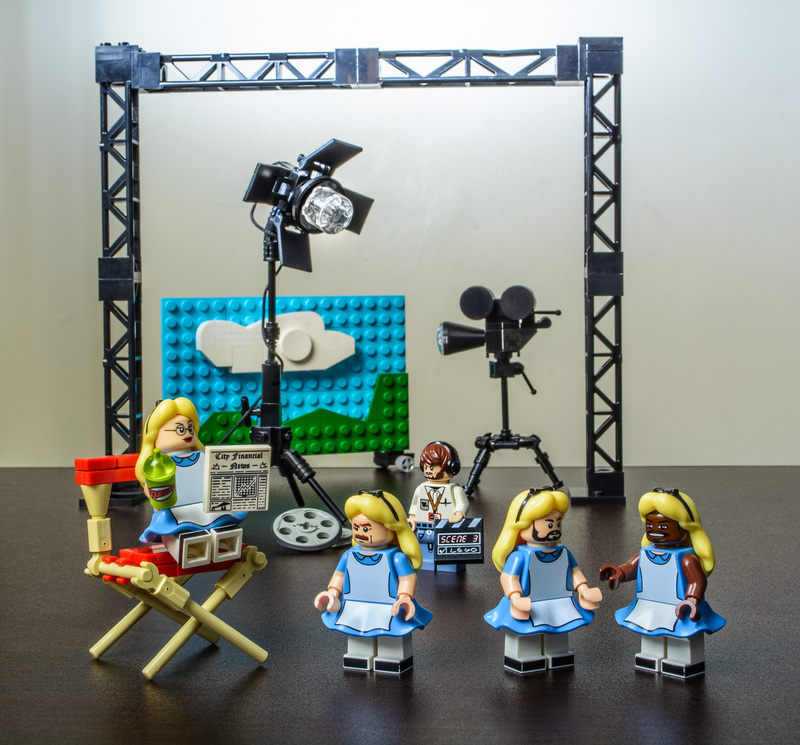 Due to child labor laws, I’m unable to have Alice do her own stunts in my LEGO Adventure in Wonderland video — so I use a specially-trained team of stunt doubles! Just a quick little gag I threw together during downtime of animating the actual video. So far, a lot of the good feedback is from the design of the studio lights.